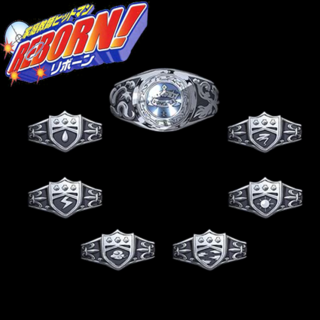 The Vongola Rings, one of the most powerful rings around, meant for the Guardians. From top clockwise, The Sky Ring, Storm Ring, Sun Ring, Mist Ring, Cloud Ring, Thunder Ring and Rain Ring. Each ring serves its guardian who bears the same attribute (eg. Storm Guardian will hold the Storm Ring). Only the one chosen to be the rightful guardian for the Vongola will have the ability to possess such rings. In the earlier part of the story, the rings were a form of status. In the later part, the rings were essential for battles as the bearer emit flames from the rings to open boxes of similar attribute. For example, The Mist Guardian emits mist flames from her mist ring to open he mist attribute box. The Vongola rings, unlike other normal rings, are of highest grade, and emits great power. It was then known that the Vongola rings, together with two other set of powerful rings (the Mare rings and Acrobaleno pacifiers), are the essential elements that make up the core of the earth. Orihime Inoue is a student from Karakura High. When Orihime was still a baby her parents would give her beatings to make her stop crying. Kakei is 15 years older than her. When he turned 18 he took Orihime with him and moved to a different place. He then died in a car accident when Orihime was 12 years old. 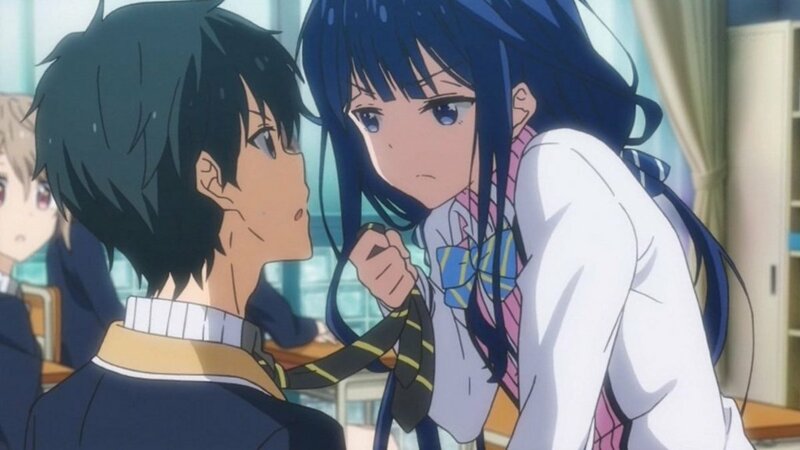 She got angry at him because he gave her some hairclips she didn't like. The day Kakei died is the day she swore to always wear the hairclips. Because of the overflowing spirit energy coming from Ichigo (particularly during his contest with Uryu), Orihime eventually awakens to her own spiritual power: the Shun Shun Rikka ("Six Princess Shielding Flowers"). The hair clips she wears transform into six spiritual guardians that assist Orihime by creating shields that literally reject enemy forces and energies. They are activated when she summons their names, chants a kotodama (a spirit chant), and calls out, "I reject! ", which activates the chant. Three of them (Hinagiku, Baigon, and Lily) create Santen Kesshu ("Sacred Tri-Linked Shield")-a defensive shield that protects from outside attacks. Two of them (Shun'o and Ayame) can form Soten Kishun ("Sacred Dual Return Shield")-a shielded zone that reverses unwanted effects inside it (in essence, it can be used to heal someone from attacks-this particular power will draw some trouble for her later). 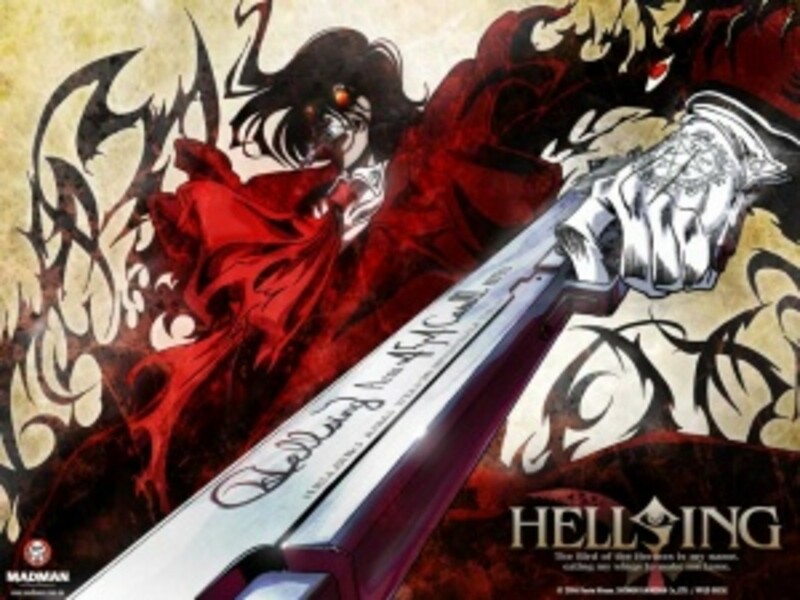 The last one, Tsubaki, creates Koten Sanshun ("Sacred Solitary Cutting Shield")-in which he enters an enemy then rejects from both sides at once, slicing the enemy in two. With her new powers, Orihime will accompany Ichigo into the Soul Society to save Rukia. In Japanese Anime, some items give the owner special powers either to aid him in battles, summon powerful spirits or forms a defensive shield over the owner. In others, they are a form of recognition or special "passes" to special organization. Such is the case of the Black Order Exorcist badge. 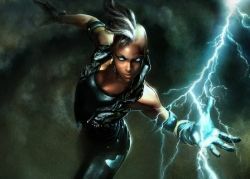 Black Order is a secretive organization aiming to stop the plan set in motion by the Millennium Earl to destroy all life on Earth, thus 'cleansing' it. Shaped like a cross with lotsa of spikes, members of the Black Order have these badges on the left upper corner of their uniform. 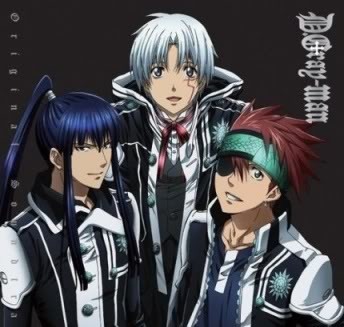 In Trinity Blood, members of the Rosenkruez Orden are always seen wearing this armband with an insignia which looks like the Star of David with a single eye in the center. 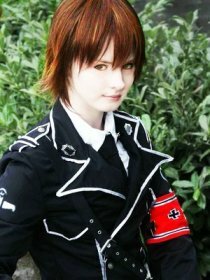 The Rosenkreuz Orden is a vampire terrorist organization lead by the crusnik Cain, who is also referred to as "Contra Mundi". Shinra Inc is a giant energy manufacturing megacorporation in Final Fantasy VII. It has the ability to harvest the sheer life energy of the Planet as a simple fossil fuel. Processed and made into products known as Mako and Materia, these materials can work miracles, granting the wisdom of the Ancients to the user. However, this substance, like all other fuels, is finite in supply, and the Planet's lifeforce is being malevolently drained by the constant explotation of Mako by Shinra. Though aware of the harmful effects, they function without remorse. 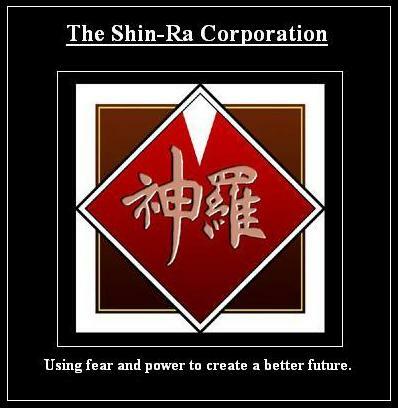 Wearing the Shinra badge signifies that you are part of the corporation. Thankfully, this maleviolent company does not exist in real life! Potara Earrings are artifacts of the Kaioshin (Supreme Kais). These earrings are worn by all Kaioshin, as part of their standard outfits. When one pair of Potara Earrings is worned by a single person they have no special properties. However, if two persons wear one earring from a single Potara set on opposite ears, the true power of the artifacts is magnifested. 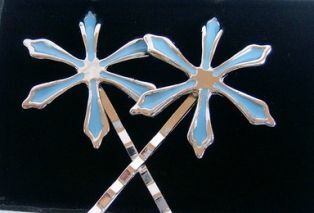 The earrings have the ability to fuse two people into a single entity, substantially enhancing the abilities of both individuals. The resulting fusion lasts forever, even if the fused being removes the earrings. It was said that in Dragonball, Old Kai was once a youthful and handsome-looking being until one day, an old witch snuck up on him while he was reading a comic book and took one of the Potara Earrings that he was wearing. She put the earring on her ear which caused the two to fuse. This caused him to become an old wrinkly being with a personality befitting of the new form, as well as new magical powers. 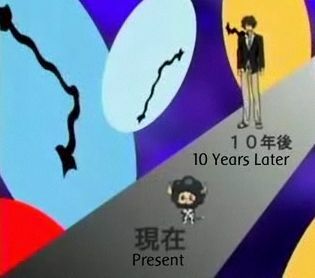 Tsuna was given a special kind of contacts to put on his eye, much like the contact lens we have to improve our sight. Together with a headset that he wears, the contacts allow him to visually read the flame pressures from both his left and right palm. All he has to say is "Operation: X-burner", and a computerized voice will guide him through the process. 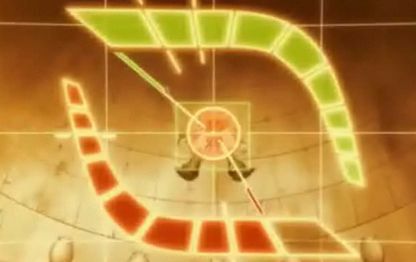 It also helps him lock his target, to direct his aim symmetrically at his opponent. 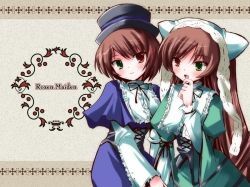 The Rozen Maidens are a collection of dolls created by a craftsman named Rozen, whom the dolls refer to as "Father". Their primary source of power is a human host that wears a ring to symbolize their bond with the doll, although dolls have been shown to act without a medium. Each Rozen Maiden has her own distinct personality, guardian spirit, and supernatural ability. 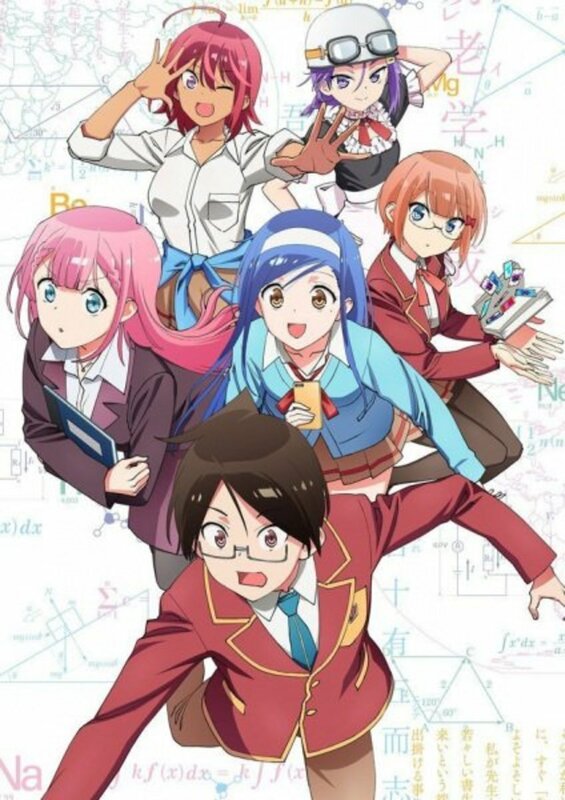 Their apparent purpose is to participate in the "Alice Game", a lethal competition that promises the winner the right to meet "Father" by becoming "Alice", a girl of supreme beauty that lives inside of "Father", which is said to be "more sublime than any flower, purer than any gem, and without a touch of impurity". 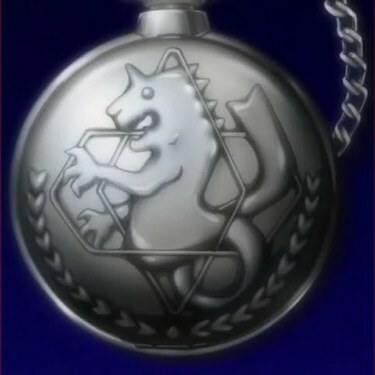 A watch given only to those who passed the state exams and earn the title of State Alchemist (or better know as "dogs" of the military). This watch greatly amplifies the alchemist's powers, removing the need to draw a transmutation circle before performing alchemy. This watch is readily available in the market, it being a necessity when it comes to cosplaying. Some more realistic ones includes the engraving that Edward Elric has in his watch has a memory of his lost home. This is an amazing glove worn by a Quincy to enhance their powers. But its not to be used by just anyone! A one week training is required before the Quincy has the ability to actually use the glove. The glove trains by actually repelling the spirit particles that are necessary in creating the bow (weapon to be used). 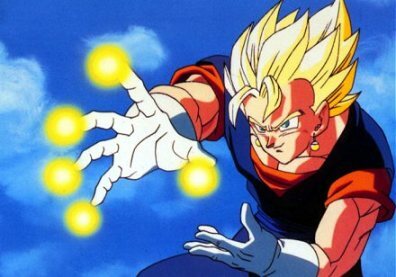 Thus, a Quincy who is skilled at using the glove would have increased his powers greatly as he is now skilled at collecting much more spiritual power than usual. It is possible to remove the glove, though with drastic consequences. Even though removing the glove would increase a Quincy's power further, it would mean that the Quincy would no longer be able to use his powers anymore. A Quincy would only remove this glove as a last resort, especially to protect the Quincy's pride. Talk about sacrifice! 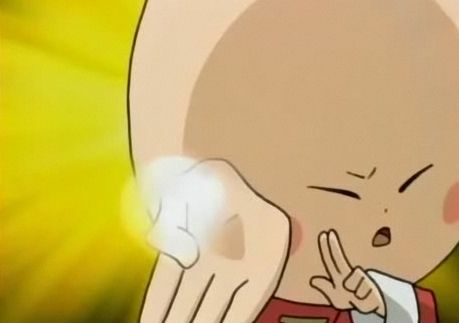 I-pin's secret technique, the Gyoza Fist, is a technique that almost feels as though it were psychic powers. The true secret to the techinque: I-pin compresses the stinky breath she gets from eating Gyoza buns and throws it at the opponent's nose. This cause the brain to become paralyzed and makes the muscle move freely, making it look like you are controlled. I-pin uses this power to control her opponents and make them move about in awkward yet funny positions. This form of martial arts is also know as the Stinky Martial Arts, derived from the stinky breath one gets after eating gyoza. A glove used by Roy Mustang, made of a special material that will create sparks when rubbed together (much like lighting up a matchstick!). This helps create the initiate sparks that he needs for his flames. The transmutation circle on the glove also helps in removing the need to draw one every time. To a normal being, it always seemed like he is able to create flames out of nowhere! Sad to say, his gloves do not work when they are damp. What a bummer. P.S. 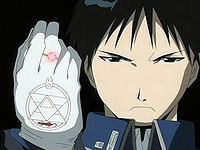 : I personally feel that Roy Mustang would not have looked as cool without his gloves! For one, he wouldn't be able to create the sparks! Imagine him actually having to light up a match every single time he fights. Or use a lighter. So UNCOOL. 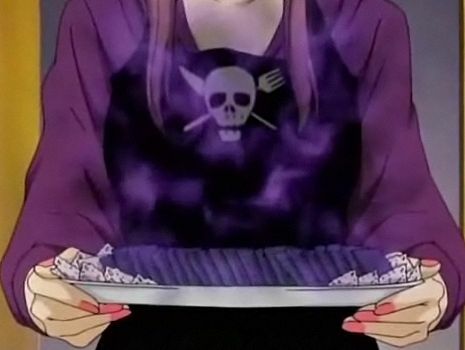 Despite being a great cook, everything Bianchi cooks will turn into poison cooking! Anyone who eats this poison cooking has a 100% chance of going to heaven. Gosh you should really stay away from her! And check out her ultimate skill: Garden of Poison Varieties, which turns every single thing she touches into poison coooking, thereby disintergrating them! She is indeed a woman to be feared! Better to stay clear of her way! A straw doll transformed from either one of Enma Ai's three servants. This doll would be given to the person who summons Jigoku Shoujo through the Jigoku Tsushin(a website that appears exactly at midnight; You enter the name of the person you want to send to hell). 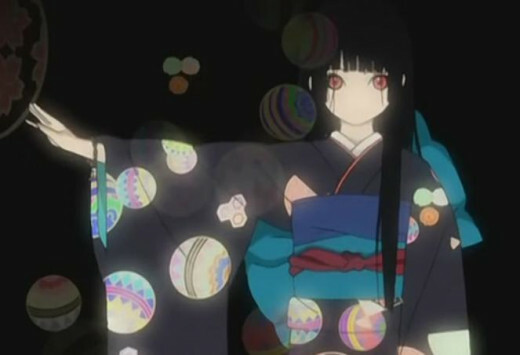 Jigoku Shoujo will then appear and hand the person a straw doll with a red string tied around its neck. 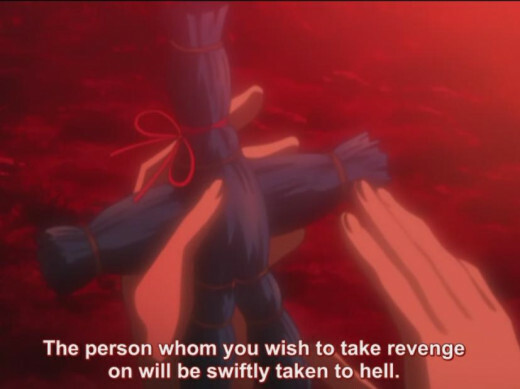 Once the person pulls the string, Jigoku Shoujo will appear and send the victim to hell. "If you really wish to take revenge, just untie this red string. If you untie it, you'll officially be in a contract with me. The person whom you wish to take revenge on will be swiftly taken to hell.. "
Enma Ai wears a bracelet with a little bell on her right wrist. Think its cute? Think again! Once the red string on the straw doll is pulled, Enma Ai and her servants would appear around the victim, and "play" with him/her. Once they are done, she ends everything with her trademark phrase "Ippen shinde miru." (Want to try dying this once?) She then raises her right arm and ring the bell, sending the victim straight to hell. And there you have it. A fast and simple way to kill that nemesis of yours. However, the note would not take effect unless the writer has the person's face in their mind when writing his/her name so that people sharing the same name would not be affected. 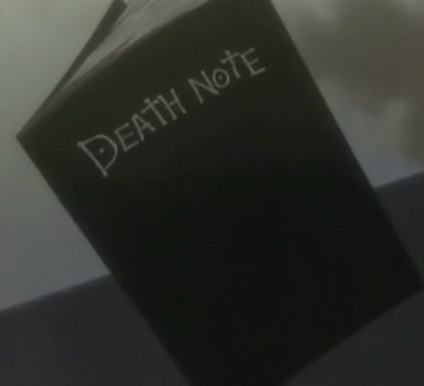 Plus, the cause of death can be manipulated if it is written down within 40 seconds of writing the name. After writing the cause of death, details of the death should be written in the next 6 minutes 40 seconds. If the cause of death is not specified, the person will simply die of a heart attack. Now tell me tell me... Which power interest you the most? Quite interesting to know about Animes powers. It is wonderful. ... You do know that when you had written about Rozen Maiden, you didn't use a picture of Rozen Maiden, right? That picture is from Kamichama Karin.